Mine's now done, sewed the buttons on last night.... Here are my progress photos. I will get a picture of it modeled later, when someone is around to take my picture. Please post yours too...even if you already have, elsewhere-- post them here! Thanks. Cannot wait to see yours! Doing the band as we speak!! CRAP! You chicks are way ahead of me and I started first!!! 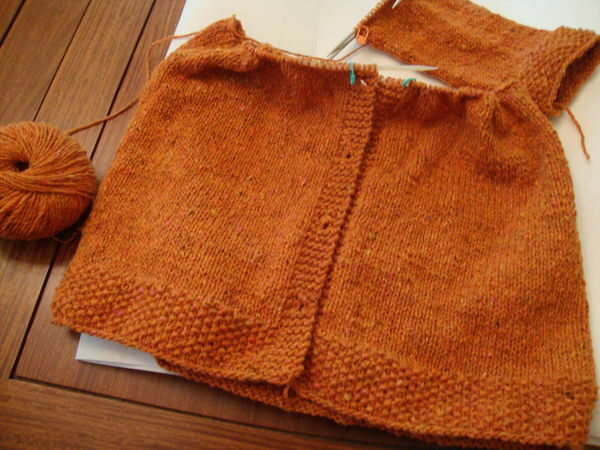 Have not had time to knit on the second sleeve yet. UGh, I should have written this in the other post.. I think we will end up getting all mixed up.. not enough discipline to remember!!! 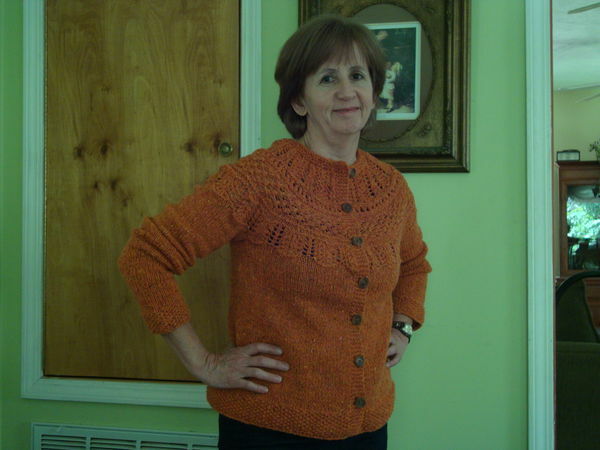 Great sweater Bonnie.Would love to see a pic with you wearing it. looking forward to seeing the others! All in time. Like I said, need to finish one sleeve. 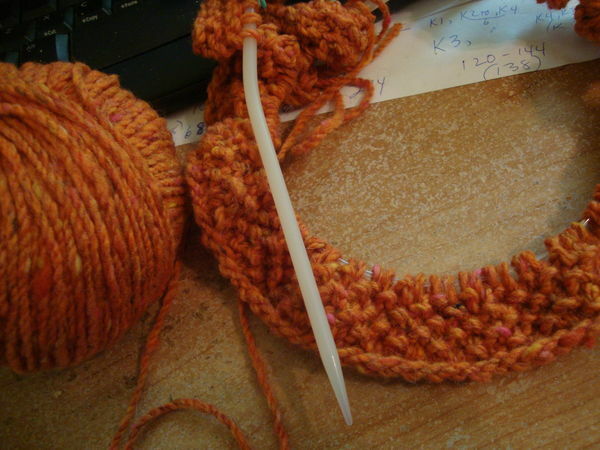 put it together, do the edging and button holes (crocheted) and put buttons on. 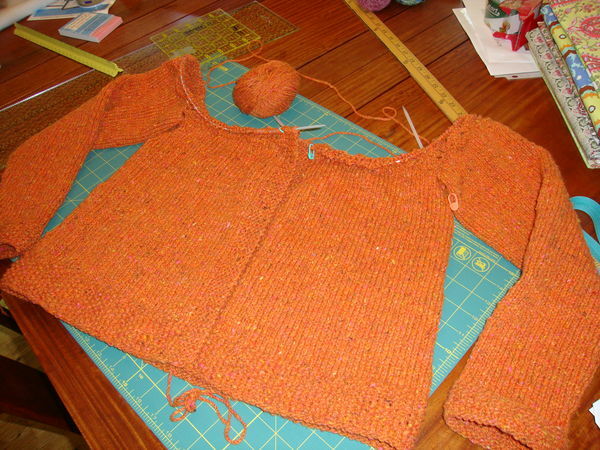 Needs a little blocking too. 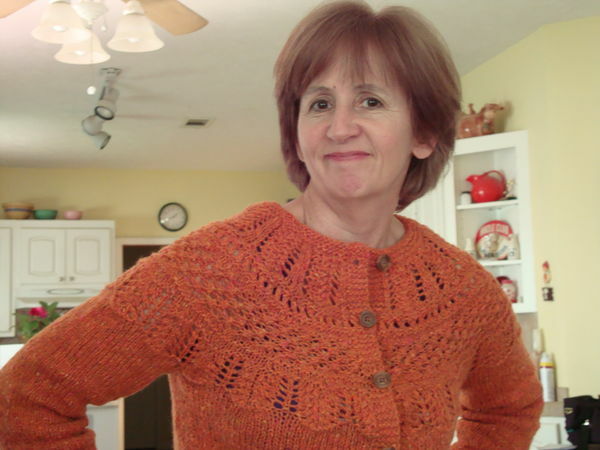 I will use Bonnie's method with the steam from my iron to finish it up. I've got my next project picked out using the shiny yarn Nina got me. 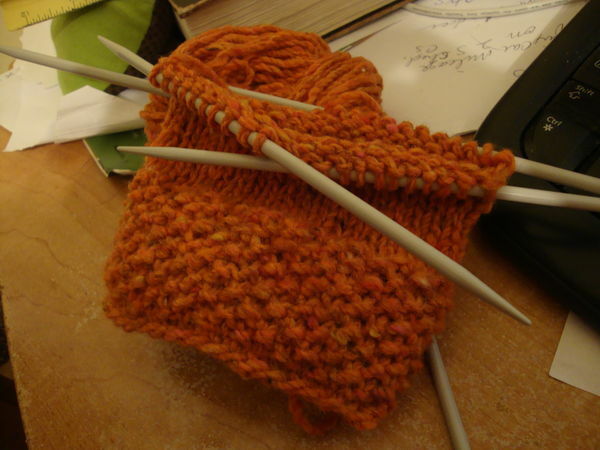 God, I just love knitting! Just my thinking out loud!! Hey, you're thinking in the wrong thread! This one's for your KAL PICTURES. I can see there's no point to having different threads, LOL! Final photos.. I made full length sleeves but they are skinny enough that they can be worn pushed up. I hope mine looks half as good Bonnie. 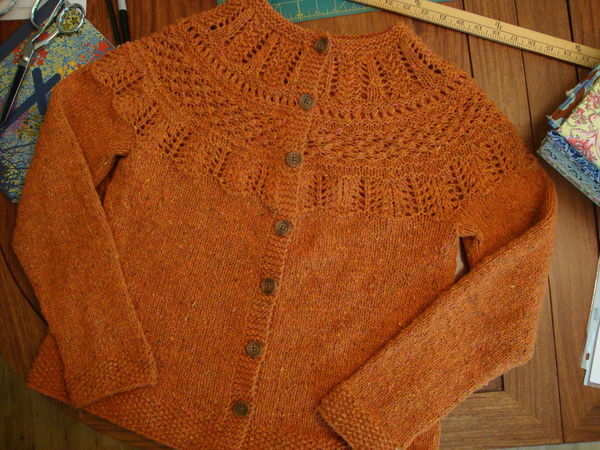 You knit so damn good!